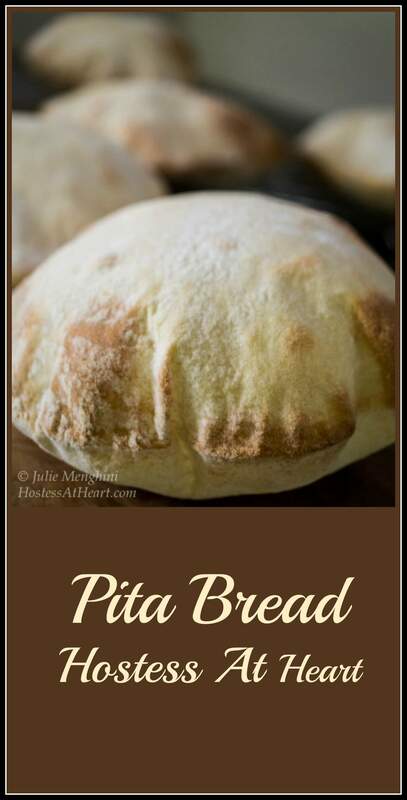 Yes, I made this Easy to Make Pita Bread recipe! You may think that isn’t such a big deal, but it was to me. I’ve never done it before. One of my friends, Debbie from the Mountain Kitchen, has posted some Gyro recipes recently that I really wanted to try. She has made them vegetarian or with meat and has shown how versatile they can be. The Greek dressing that she makes is delicious! I had some fresh chicken breasts in the refrigerator when I saw Debbie’s Chicken Gyro recipe, and I knew exactly what our dinner was going to be. I went to the store to get the remaining ingredients that I needed but just couldn’t get excited about the commercially made pita bread. It can be doughy, tough or chewy and not all that flavorful. I went home with everything that I needed to make Gyros except the pita bread. I decided to make my own. If the pita experiment failed, we always had the salad option. I found a King Arthur Flour (KAF) recipe in their Spring 2015 “Sift” publication, that looked easy enough. I couldn’t believe how soft and silky the dough was. Silk and baby butts came to mind. One thing that I found was if you rolled most of the air out of the dough, they baked a little flatter and stayed softer which made a pita that was easier to cut and stuff. The pitas that retained more air puffed up and were crispier. They were delicious, and I actually just ate them as a side to a Greek salad. You will need a baking stone that can take a hot oven for this recipe. I actually baked 2 at a time, and that worked well. John and I really enjoyed this dinner. He was so impressed with the pita bread that he told his friends at the gym about them. I thought that was pretty funny, guys pumping iron and talking about baked pita bread. You always hear that homemade is better than store bought, and in this case, it’s true! 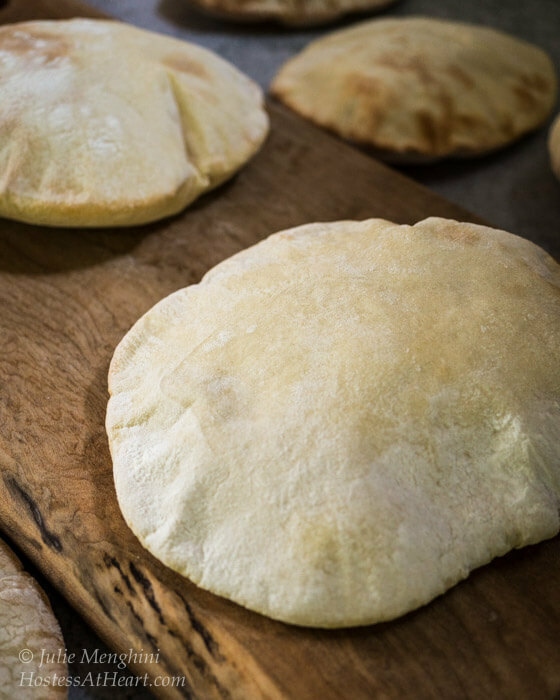 A light tender and easy to make pita bread that is still strong enough to completely fill up. This pita is easy to make and delicious to eat. In a separate large bowl, stir together water, sugar (or honey), and yeast. Let stand for 5 minutes, or until bubbly. Stir in oil. In a medium bowl, stir flour and salt together. Stir flour mixture into the water yeast mixture bowl, and stir until a craggy dough just comes together. Turn dough out onto lightly floured surface and knead until smooth and elastic, about 10 minutes. Place the dough in the greased bowl. Cover with plastic wrap, and let rise until doubled in size, 1 to 2 hours. Preheat the oven to 500 degrees F with a baking stone placed on the middle rack. Turn the dough out onto a lightly floured surface and deflate. Roll into a 16-inch roll approximately 2 inches thick. Cut 8 equal sized pieces. Roll each piece into a ball. With a lightly floured rolling pin, roll into 6-inch circles, about 1/4 inch thick. Let rest covered with a clean dish towel for 30 minutes. Working in batches, transfer the dough rounds to the hot stone using a pizza peel or large metal spatula. Bake until the rounds turn lightly golden, approximately 5 minutes. Transfer to a large zip-top bag to store. Since making this pita bread, I’ve learned that instant or rapid rise yeast is finer and doesn’t need to be activated in water. It can all be mixed together all at once, without worry that the yeast will fail. 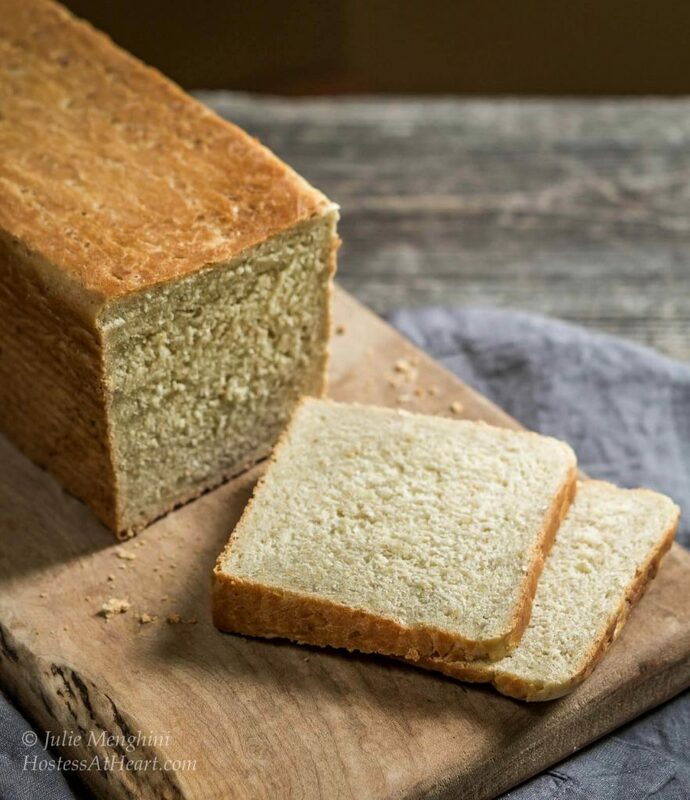 I love making bread and here are a couple more delicious recipes that I love to make! Thank you Loretta! So happy to see your shinning face today! You pita breads look fabulous, Julie! I also haven’t made them. I am afraid not to get the pockets. Every single one of them had the pocket! If I can do it Jhuls, you definitely can. Thank you! They were a lot of fun to make too! I often mean to make pitta bread but it never quite happens! 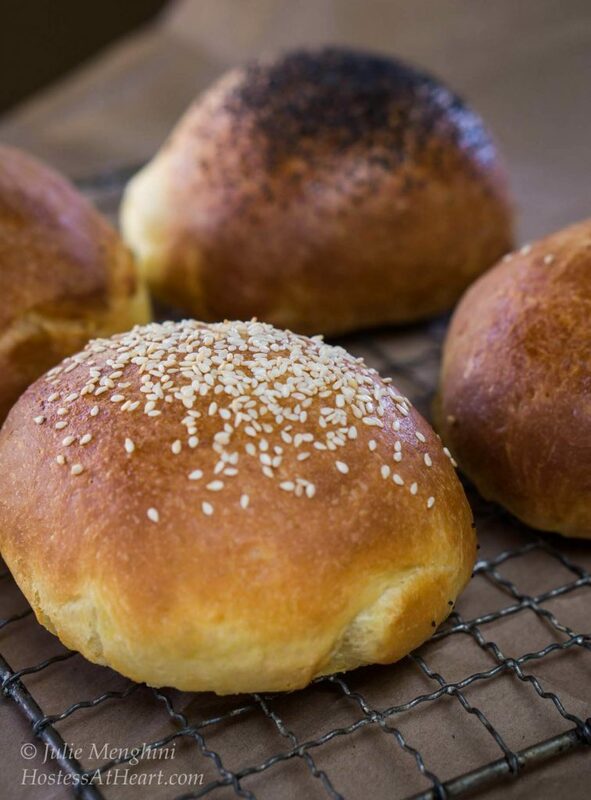 These look great – they puffed up perfectly! Hahahaha silk & baby butts! That had me laughing out loud :). I am thoroughly impressed. I’m not good with dough and breads, so I always admire when someone can make any type of bread and have it come out so beautifully. Thanks for sharing this at FF! I am so fortunate that I am not restricted by what I eat or cook. I have always had fun baking. Thank you for stopping by Kaila! Wow Julie, I’m so impressed, the pita breads look amazing. I would love to try this recipe, do you know if it would work without the stone? Thank you! I believe that it needs a very hight heat. If you have a cast iron skillet, that might work? Ok, I’ll give it a try! I’ve always tried making pita but they never puff up like yours! But you’ve inspired me to try again! Thanks for sharig Julie and have a great FF weekend! Thank you! I think the trick for getting them to puff up is to handle the dough gently after it rises and to be light when yu roll it out. Air left in makes them puff. The puffy ones are crispier though because the puffing makes them thinner. Let me know if you have any other questions, I’d be happy to help! Julie, these pictures are GORGEOUS!!! 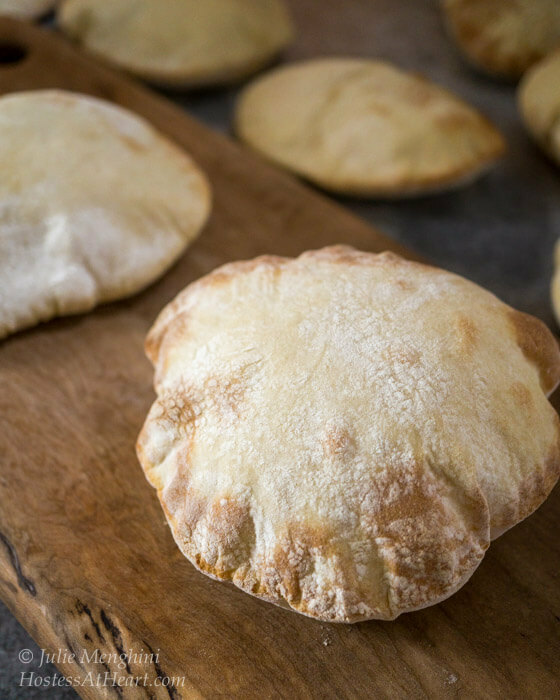 Especially that one with the pita all puffed up…it looks so tempting!! Thank you Amanda! The pita’s were yummy! I’ve been going through Nagi’s book, and it’s really helped with the photos. I love pita bread! I hadn’t thought of making my own-these pitas look so good! Give it a try skd! It was fun and easy. Plus I know you are a talented kitcheness! Awe! The word sounds so nice . Thank you Julie. I will love to try. Thanks Linda! I have never handled bread dough that silky! 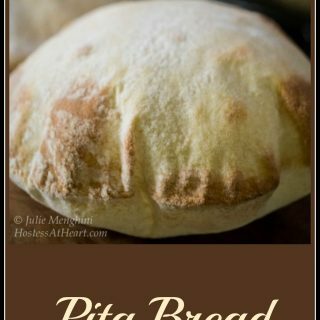 I haven’t ever tried making my own pita bread, so I’m encouraged by the fact that this was new to you as well! They look great, and I completely agree with you about most commercially-produced pitas being tough. I’ll have to give this a try sometime! Thank you! Give it a try, it is much easier than I would ever have thought. Thanks Jess! 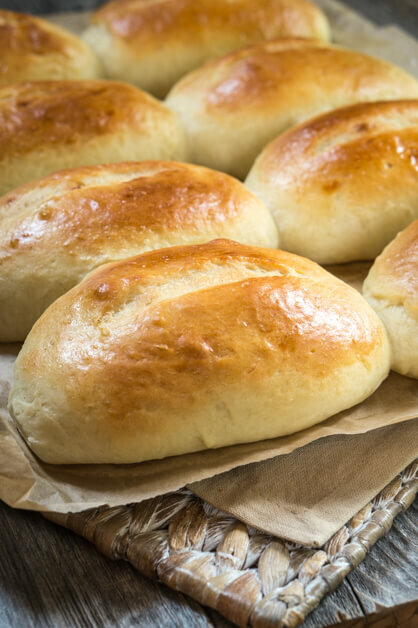 They are tender and moist and fun to make. I always thought pitas were dry. These weren’t. Enjoy your weekend, and thank you for stopping by! Your Pita is so so perfectly puffed. Pinned it to try! Thank you Aruna! I think you will love them. Thank you Dini! I love bread, but need to branch out a bit. I have my non-bread lovers yawning I think! Wish I was a mad kitchen scientist like you! Enjoy your weekend! I know exactly what you mean. 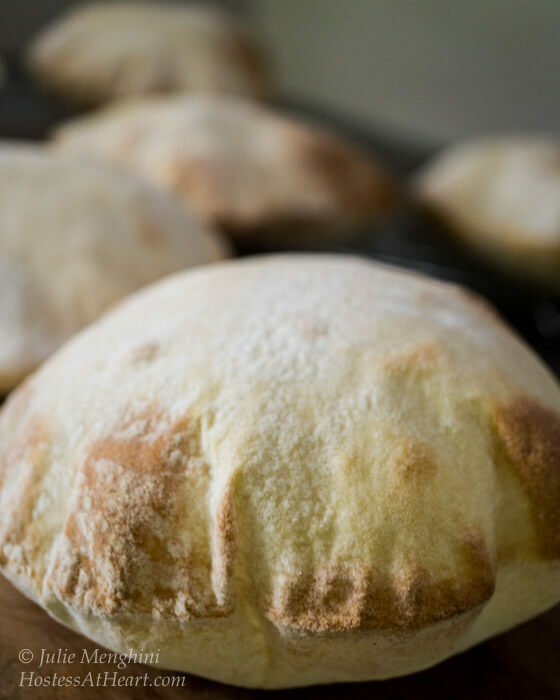 When I first made “Yemeni Bread” I was so excited my kids thought I was going crazy. They look puffy and delicious. Thanks for sharing! We all have our idea of success right! Thanks Liz! Wow, I love the puff. They sound delicious. And you are right, the store bought ones are usually disappointing. You’re so right about the ready-made version leaving something to be desired. Your pitas are pretty! And apparently, tasty! Nice work, Julie. Thank you Patti! These really are much better than store bought. Tender and moist. Enjoy your day my friend! They puffed up so nicely! Isn’t it always so satisfying when you try a recipe for the first time and it turns out so wonderfully? Great post! Looks puffy and perfect, I need to try it! Thank you Ana! They turned out fun and easy to make. Thank you for the inspiration! You’ve got to try these pitas Debbie. I would say they are almost fool proof, and go wonderfully with your gyros! Ummmmm! You’re making me hungry!! They’re beautiful! Good job! I’ve made them before, but I’ve never mastered naan, so I gave up on that. Thank you! I’ve never made Naan but can’t imagine you failing at anything! Looks amazing!!!! great job as always Julie!! Sounds so delicious, Julie, and what a fun bread to make! The pictures are lovely! Thank you Anna! It was a fun recipe to make and will be a repeater for sure! I’d love to try it sometime! 🙂 Sounds wonderful! Thanks Anna! They were indeed yummy, and not dry like some store bought. They look perfect!!! When I made pita bread I think my post started virtually the same as yours, I was so proud of myself!! Ha! Had I known how easy it was, I would have been making them all along. I guess that is true with most things I make. Thanks Elaine! I have had a few pita pisasters – resulting in yet more flatbread! I’m tucking this recipe away to try! Thanks for posting it! I love that word pisasters! Give this one a try. I always think that if I can do it anyone can! Thank you Johanne! It was a fun project! It looks amazing, Julie! I would love to try this. I love the pictures where they are all puffed up. We are thinking along the same lines this week (sort of). I made naan. It was so much fun to make, too. I couldn’t believe how easy it was. Pinning your recipe to try! Thank you Shari! It was yummy! I’ve really been on a bread kick, but I just enjoy it so much. I can’t wait to see your naan!